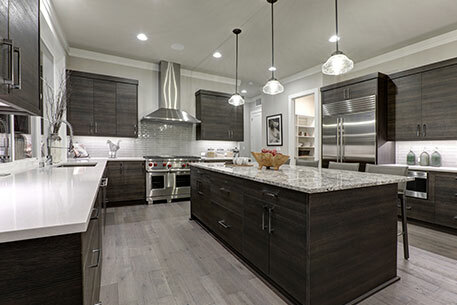 Kitchens are integral to our homes and more so for entertaining and dining, as well as food preparation as it is the engine room of the home. When it comes to designing kitchen extensions, there really is no limit to what can be achieved – whether your aim is to simply maximise your working area, or if you desire a more advanced and ambitious creation, then please contact us to discuss your requirements and aspirations with our expert architectural design team. Kitchen extensions come in all forms and dimensions – and the most important factor to remember before taking on a kitchen extension is to visualise exactly how you would like to utilise your new space. Whether you are looking to create extra room to entertain family and friends, work in or to combine the kitchen/diner extension experience by linking it to your outdoor area. You may consider looking for an open plan kitchen extension creation – allowing you to make your kitchen as functional and as flexible as required. 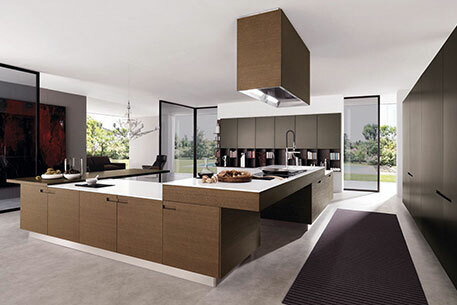 For many years, a kitchen has been merely an area in which food is prepared – but now home owners have seized upon the idea of transforming their kitchen into one of our modern kitchen extensions to give them a stunning and contemporary dining experience. We believe, kitchen extensions should be open and flexible enough to transform your culinary space into whatever you wish and it’s only limited by imagination! 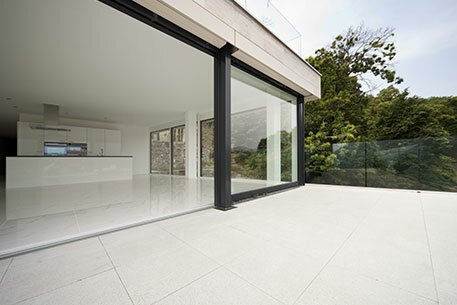 The use of glass in a kitchen greatly enhances upon the sense of light and space that is available – when using glazing in kitchen extensions, it’s always important to ensure that it is employed in the best possible use to let in maximum light – and to create a positive illusion of an expansive room. Glass is the most versatile, space-enhancing material available in modern interior design, making it ideal to transform even the smallest of kitchen extensions. From installing moving glass walls to creating wide open spaces, we offer a comprehensive, contemporary and bespoke kitchen extensions service. What elevates Glass Design and Build London’s design consultation and survey service is not just our attention to detail, and expertise – but we provide you with the latest cutting edge technology and design to create more than just stunning kitchens and glass interiors. We are unique in our handling of large-scale design projects, that can also include custom technology installs and your grand landscaping ideas. For further information regarding adding a unique, bespoke modern contemporary kitchen extension to your home then please call us on 0207 074 8989 or email us through our contact page.